But he left the door open for an independent 2018 run. 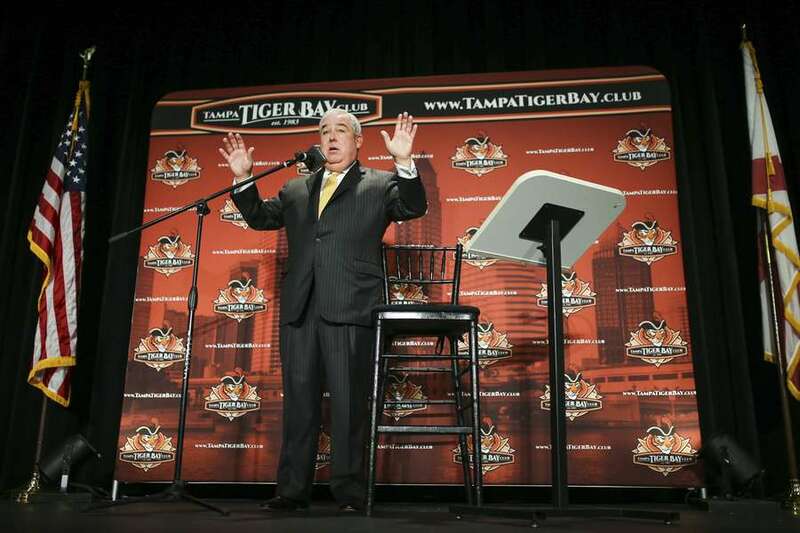 John Morgan, the pugilistic lawyer famous for his firm’s “For the People” advertisements, announced Friday morning that he will not enter Florida’s race for governor as a Democrat. “While it’s amazing to be leading the polls for Governor without being a candidate I can’t muster the enthusiasm to run for the nomination,” Morgan, 61, tweeted. But Morgan wrote the Times in an email that he still may run as an independent. "I never say never," Morgan wrote. The lawyer went on to tweet that his decision to sit the race out was related to his disillusionment with politics in general — a departure considering his longtime political fundraising. Morgan told the Times that "both political parties speak to the fringes and not to the people. #forthepeople." With vast personal wealth, considerable charm and charisma, and what was expected to be broad populist appeal, Morgan was widely seen as the strongest Democratic candidate for governor. A February Tampa Bay Times poll of Florida political insiders found that a plurality of respondents agreed. His name recognition alone, built though years of TV ads throughout Florida, would have cost every other candidate tens of millions of dollars to achieve. The decision means the 2018 race has settled at four Democratic contenders: Tallahassee Mayor Andrew Gillum, former Congresswoman Gwen Graham, Orlando-area entrepreneur Chris King and Miami Beach Mayor Philip Levine. None of those candidates has gained major traction, with several struggling to raise money at the rate of their Republican counterparts. Graham, the consensus front-runner, raised $107.205.67 more than she spent in October between her campaign and an associated political committee, according to campaign finance records. Agriculture Commissioner Adam Putnam, the Republican front-runner, raised a net $727,923.81 between his campaign and his political committee during the same period. Morgan’s exit could help open more Democratic wallets because many top donors and fundraisers had been awaiting his decision. "Now no one can use the excuse that my potential candidacy is hindering their fundraising efforts," Morgan emailed. The GOP field has yet to coalesce, with Putnam and state Sen. Jack Latvala — whose campaign has been rocked by allegations of sexual misconduct — the only major declared candidates. U.S. Rep. Ron DeSantis, R-Palm Coast, and House Speaker Richard Corcoran are widely expected to jump in. As Morgan noted, he has led a few polls of the Democratic field — although it’s unclear how much the average voter is paying attention with the primary election still 10 months away. And earlier this year in Tampa, Morgan brushed off critics who pointed to his multiple driving under the influence arrests and constant use of profanity. “Let all the perfect people vote for somebody else, and let all the sinners and imperfect people vote for me. I’ll win in a landslide,” he said.